Pitch Wars: How it Works, Wild Cards, and Secret Mentors Revealed! While you’re waiting for the results to be posted on August 24th, we’re busy reading and deliberating and drooling and crying over which manuscript to choose! It’s one of the toughest decisions ever. We see potential and merit on every page. So we’re giving some insight into what’s going on behind the scenes. How do the wars work? All mentee/manuscript picks are due by August 23rd at 5pm Eastern. Every mentor lists their top three picks. If two mentors have the same first choice, they write to the mentee that night and convince them that the mentee should choose them. The mentee has overnight to choose and must notify us by 10am the next day (Aug. 24th) which mentor they’ve chosen to work with. But a mentor can only go to war once, so they’re always willing to fight hard for that manuscript. If they don’t get chosen, they get their second choice–unless someone else who’s lost has the same second pick! But by then, we’re nearing time’s up, and so it’s a random draw. The loser of that draw gets their third choice. We’ve never had to go beyond a third choice during Pitch Wars. Choosing only one manuscript sometimes feels impossible, so we offer some mentors the chance to win a Wild Card. The mentors who win a wild card can choose TWO MENTEES! They are treated as equal mentees, given the same time and devotion, and will both be in the agent showcase. Wild Cards are handled behind the scenes and chosen by a drawing. And this year we want more of you lovely Pitch Wars Hopefuls to succeed. So we’ve got more mentors sifting through the slush. They’ll only get their mentee picks after all the other mentors choose, and their mentees will all be featured in the agent showcase! Welcome Our Secret Mentors . 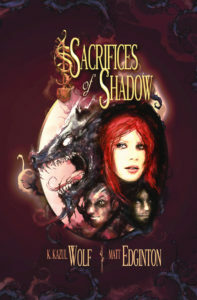 . .
Elinor Sattler has a degree in Anthropology, writes urban fantasy, used to hit people with swords as a hobby until one of many injuries put a stop to it, and would rather be back in the Pacific Northwest backpacking outside of cell phone range. She also has a weakness for the Oxford comma and sentence fragments. Amy Garabedian (writing fiction as A.B. 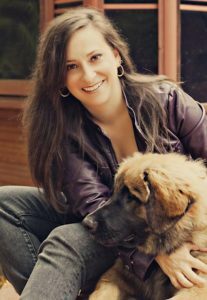 Sevan) is a dog training business owner with a serious love for stories that bend the laws of nature, especially with a romantic twist. She started taking her publishing career seriously when a client bartered editing services for dog training in 2012. 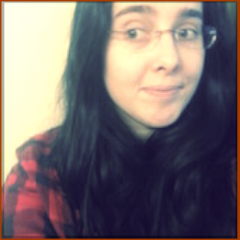 She holds a BA in English from Oakland University, was a finalist in Pitchwars 2014, has placed in the Rochester Writer’s writing contest, and had nonfiction published in the American Kennel Club Gazette and the LeoLetter. She is a serial conference attender. 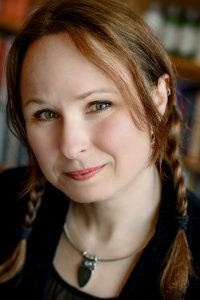 She is represented by Sarah Younger of Nancy Yost Literary and is a member of Detroit Working Writers and RWA. She is a life-long Metro-Detroiter and lives with her husband and large dogs often mistaken for bears. Rosalyn Eves is a part-time writer, part-time English professor, and full-time mother of three. She loves all things BBC, especially costume dramas and mysteries. When not wrangling children (and sometimes when she should be wrangling children), she’s often found reading. 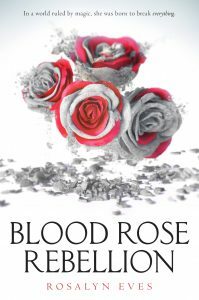 Her debut novel, a YA historical fantasy BLOOD ROSE REBELLION, came out March 2017 from Knopf/Random House. 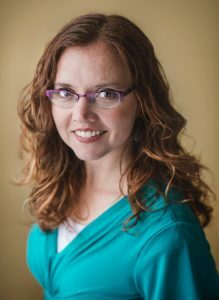 Jen Vincent is a writer, blogger, and educator. Growing up, books and stories made her feel whole, helped her fit in, and gave her an escape but also propelled her forward. Now she writes picture books and novels because she believes in the power of stories to change lives…and the world. Jen shares her love of writing at her blogs Teach Mentor Texts and Story Exploratory. She also hosts Sunday Check-Ins for Teachers Write, a virtual summer writing camp for educators, and co-hosts the kidlit It’s Monday! What Are You Reading? (#IMWAYR). She was a proud Pitch Wars mentee in 2014 and is now represented by Danielle Smith of Lupine Grove Creative. 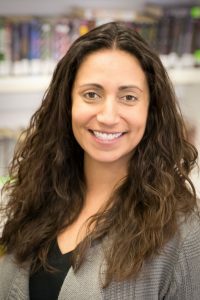 In 2002, Jen started her career as a teacher of students who are deaf and hard of hearing but is currently an instructional coach for a K-8 school district in a northern suburb of Chicago. Yes, she knows some sign language and even speaks Spanish too. She is National Board certified in Early and Middle Childhood Literacy and has her Master’s in Curriculum and Instruction. She is an active member of SCBWI, NCTE, and the Nerdy Book Club. While Jen loves a good Kombucha and a fresh salad, she can tell you where to get the best vegan chocolate cake and non-meat “bacon” burger in Chicagoland. Besides writing, she loves practicing yoga, participating in spontaneous dance parties, and dreaming of the sparkly Vespa scooter she’ll own someday. She lives in Mundelein, Illinois with her sports-loving husband, two wild and rambunctious sons, and an adorable pup named Perdi. For more information, visit jenvincentwrites.com. K. A. Reynolds is a Winnipeg Canada native who lives for Monty Python, old dead poets, ushering creepy crawly things out of houses, and writing dark and lovely things for children. 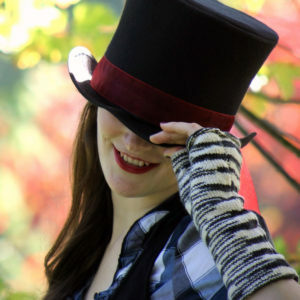 K.A has been published in several poetry journals and could wallpaper the universe in all the unread poems on her computer. When not caring for the elderly or buried under a mountain of mismatched socks, she can be found enjoying the wilds of Maine where she currently resides with her family. She is represented by a superhero, otherwise known as Thao Le of SDLA. Her debut MG Fantasy, The Land of Yesterday, will be out from HarperCollins July 31st 2018, with a second untitled MG Fantasy to follow in 2019. The last of our secret mentors must remain secret until the mentee announcement post on August 24th. This mentor may or may not choose a mentee depending on if she falls in love with something or not. But be sure to watch on Twitter for more details! Thank you for supporting Pitch Wars and good luck to everyone on your publishing journey. And remember, #PitMad is from 8AM-8PM Eastern on September 7th! Thank you Brenda Drake. I so appreciate you doing this for us all. I’ve enjoyed following all the mentors on twitters and connecting with more hopeful mentees. Sending positive vibes too all. Thank you. The stories inside the stories keep us motivated! You sure know how to put a twist in a plot. Nicely done! thanks for all you keep doing and thinking up for the community. It’s tremendous.